To mark the Thirtieth Anniversary of Pegasus Models, Freightdog is re-issuing a number of the original Pegasus decal sheets, some of which have not been available for quite a while. 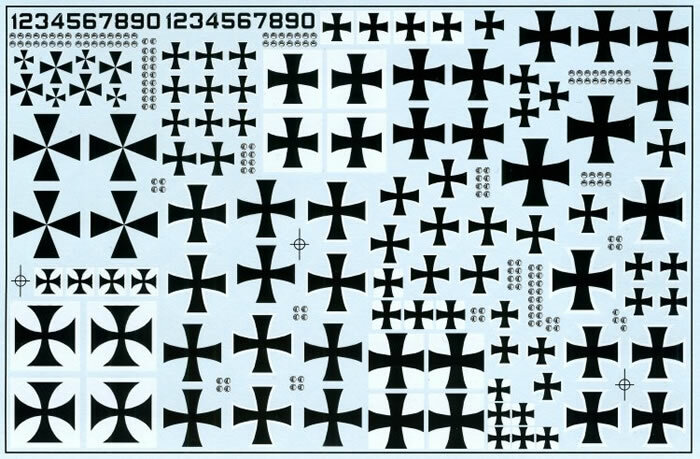 The latest covers German WWI Maltese Cross Insignia in 1/72nd scale and is a limited print run of one hundred sets. This A5 sheet is now available priced at £7.00. Next ones due later this month will be four colour upper and lower German Lozenge in 1/48th scale, which follows on from the 1/72nd scale version that was also recently re-printed.